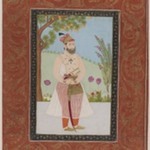 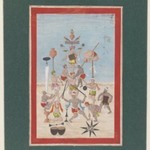 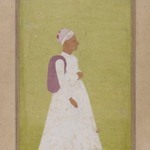 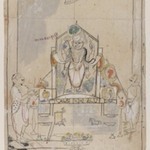 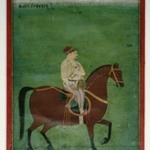 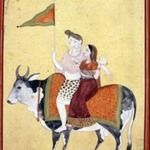 Typical Indian portrait paintings show the subject standing in profile, usually holding an emblematic object. 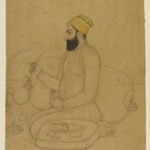 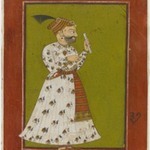 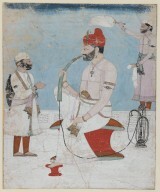 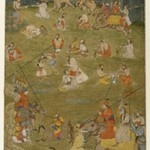 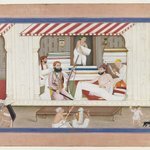 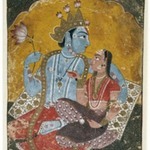 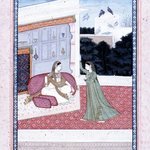 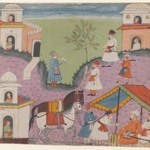 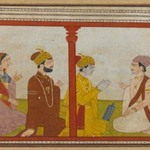 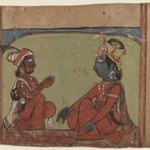 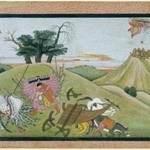 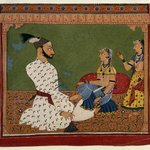 In the Punjab Hills, a mountainous area between Delhi and the Western Himalayas, artists altered the format somewhat by depicting their rulers seated, in more casual situations, usually smoking a huqqa. 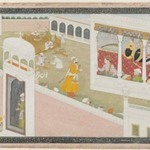 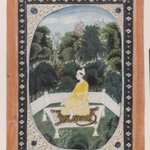 Usually these rulers sit on carpets on the floor, but here Sansar Chand, the raja of Kangra (reigned 1775–1823) and a great patron of Indian painting, sits on a seat with a tiny footstool. 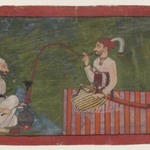 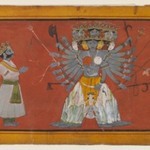 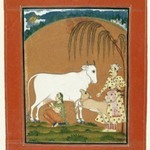 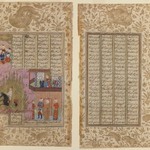 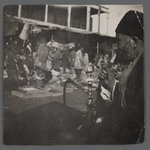 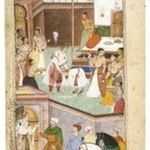 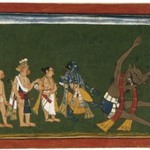 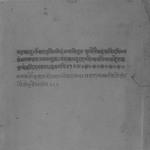 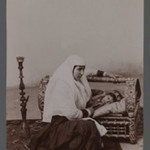 He is addressed by one of his ministers while a servant uses a yak-tail fly whisk to shoo away insects. 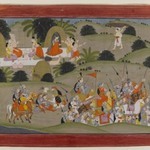 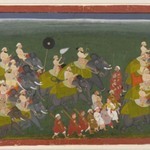 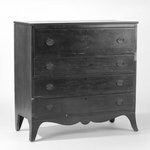 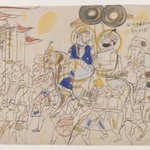 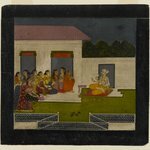 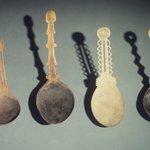 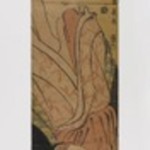 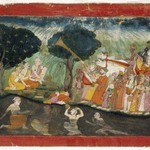 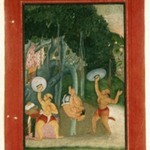 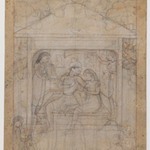 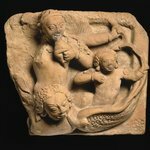 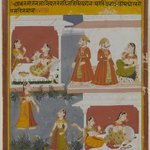 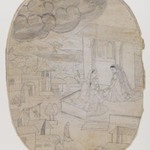 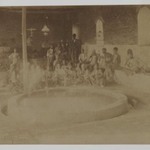 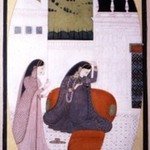 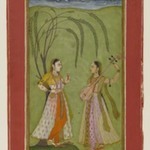 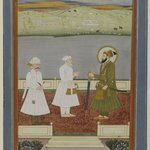 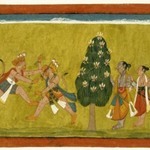 This slightly abraded work was one of the first Indian paintings to enter the Brooklyn Museum’s collection, as a gift from an important scholar and collector who introduced Kangra-style paintings to the West.